Oh what a night! 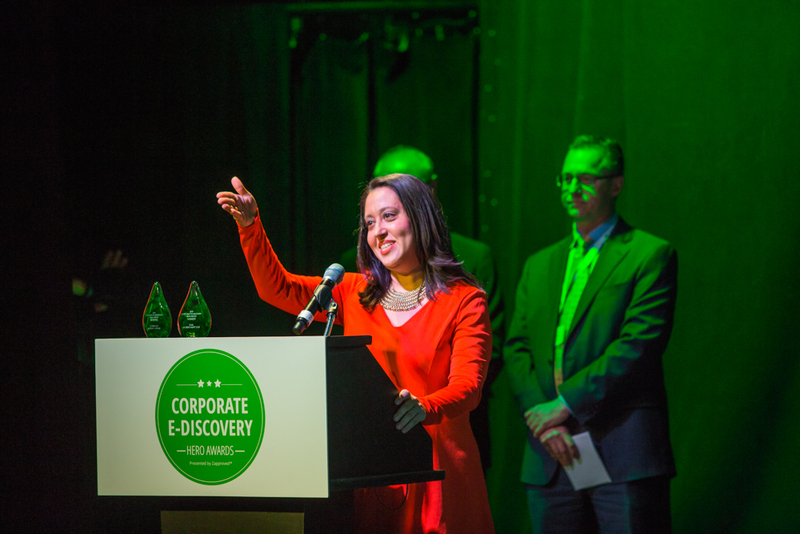 The Inaugural Corporate Ediscovery Hero Awards held on Jan. 30, 2017 in New York did not disappoint. 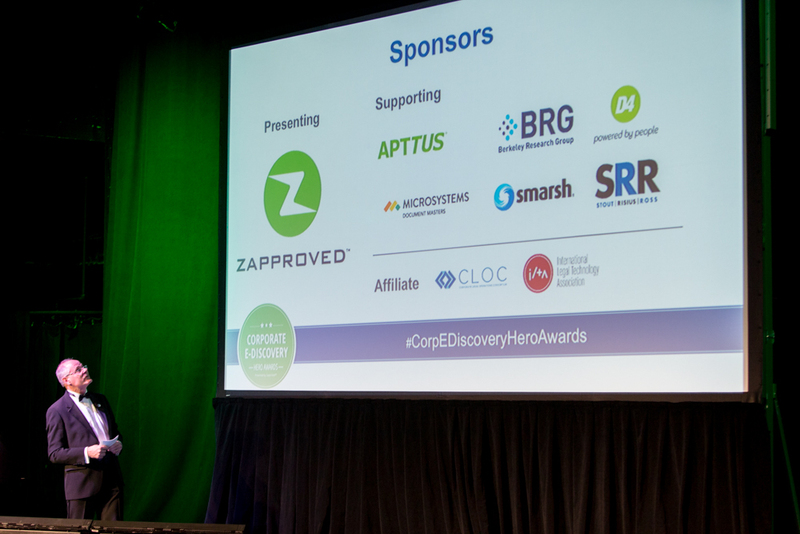 Zapproved welcomes guests to the 2017 Corporate Ediscovery Hero Awards. 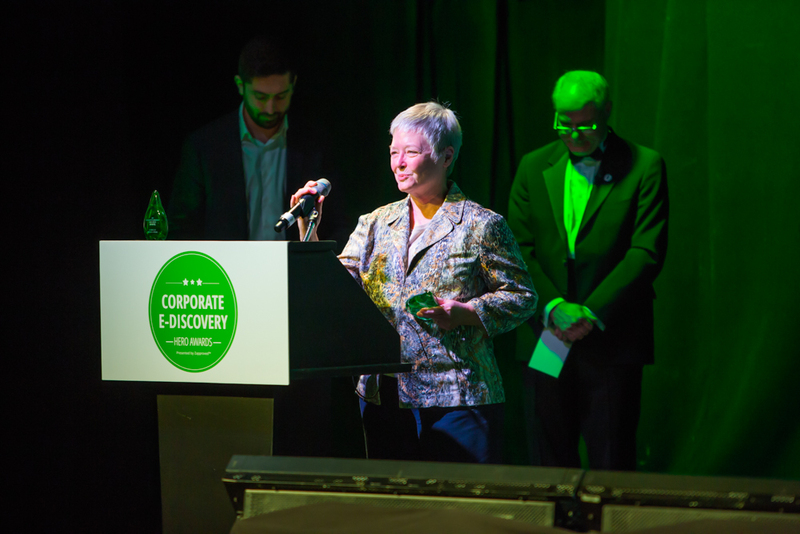 This refreshing kick off to Legalweek, was dedicated to the triumphs of the unsung heroes of corporate ediscovery. 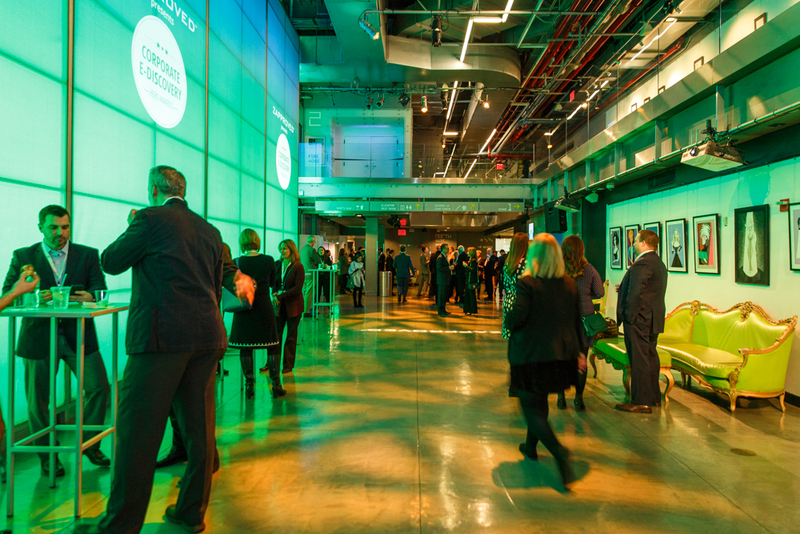 Starting off with an engaging private VIP reception, including the who’s who of the ediscovery community who shared food, fun and conversation. 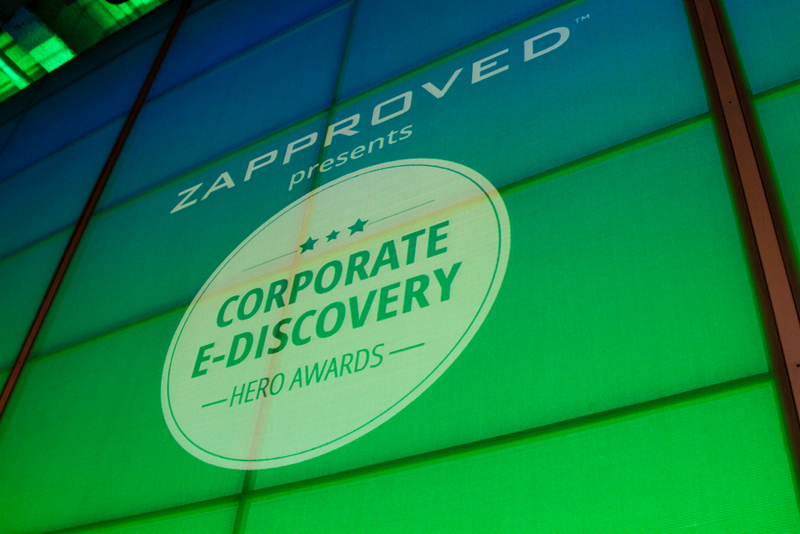 Networking in luxury at the Corporate Ediscovery Hero Awards, presented by Zapproved. There was lots of energy in the room as Brad Harris, Vice President of Product Strategy for Zapproved, launches the night of celebration. 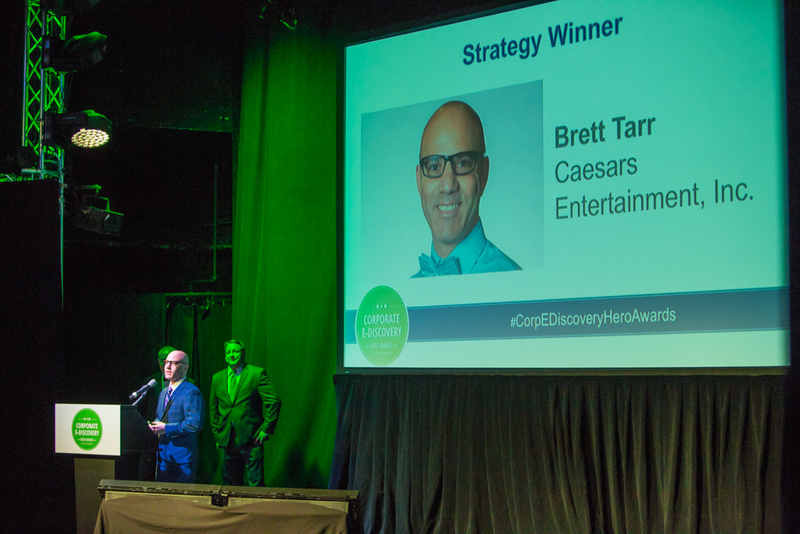 Brad Harris of Zapproved kicks off 2017 Corporate Ediscovery Hero Award Celebration. 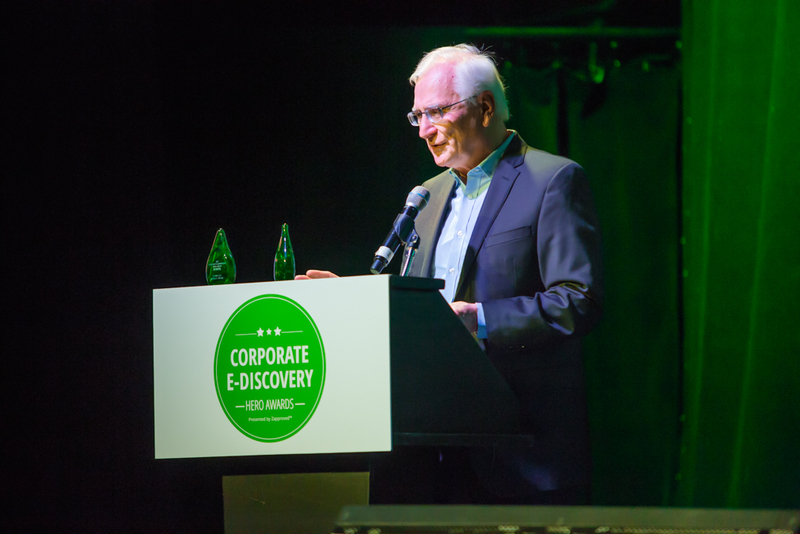 Before a sold-out crowd, the evening was filled with inspiration, humor, ediscovery greatness, and thoughtful and engaging insights. 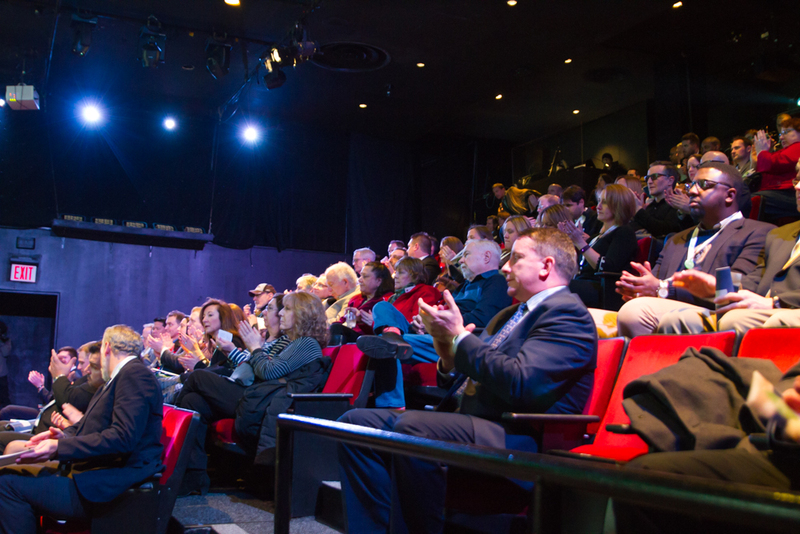 A special thank you was given to the sponsors Apttus, BRG, D4, Microsystems, Smarsh and SRR and affiliate-level contribution from Corporate Legal Operations Consortium (CLOC) and International Legal Technology Association (ILTA) who helped Zapproved present this inaugural event. 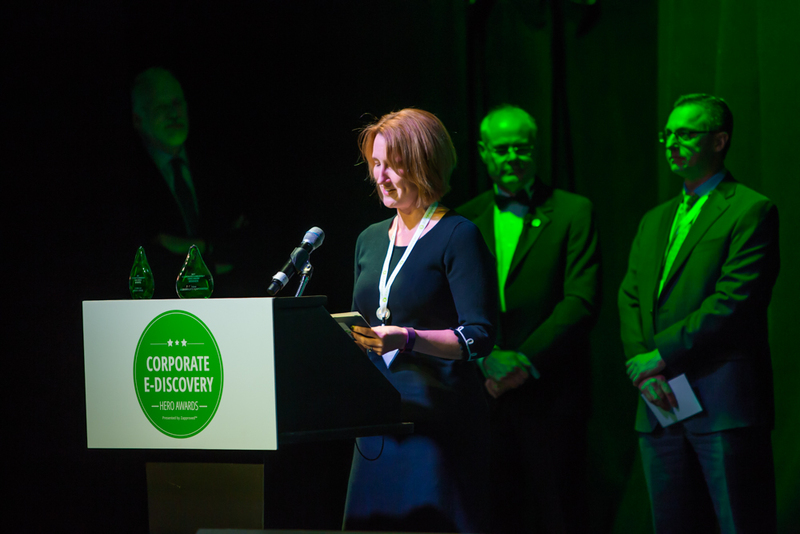 2017 Corporate Ediscovery Hero Award Supporting and Affiliate sponsors. Recognition was also given for the expert panel of judges who selected this year’s winners via survey. 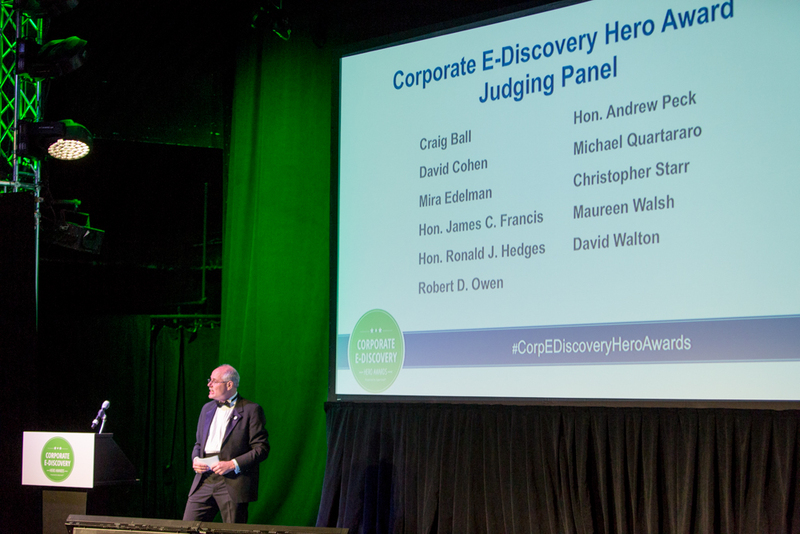 A fun twist to the evening was a little behind the scenes insights about how the beautiful Corporate Ediscovery Hero awards were created. Katy Boyles, Product Manager for Legal Hold Pro by day is an artisan making handcrafted blown glass works of art in her spare time. 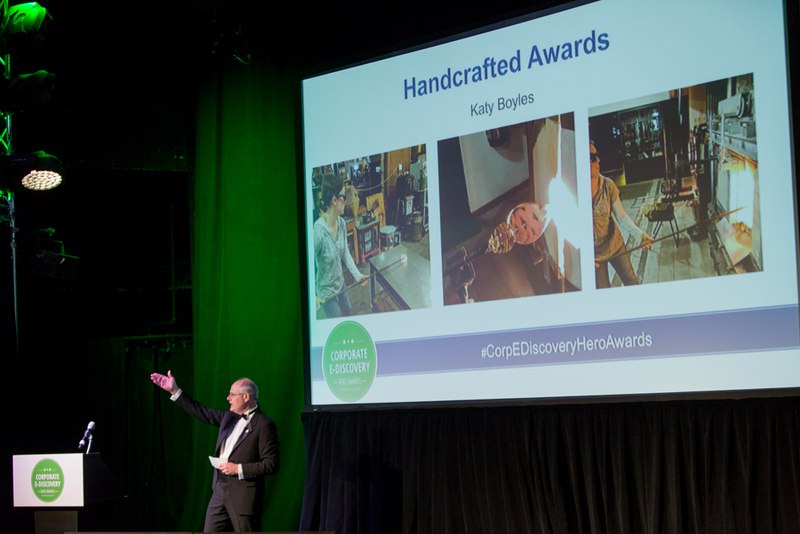 2017 Corporate Ediscovery Hero Awards were handcrafted by Katy Boyles. The Hon. Shira Scheindlin delivered a humorous and charming roast of Lifetime Achievement winner, Michael Arkfeld. Hon. Shira Scheindlin shares warm remarks in presenting the Lifetime Achievement Award to Michael Arkfeld. 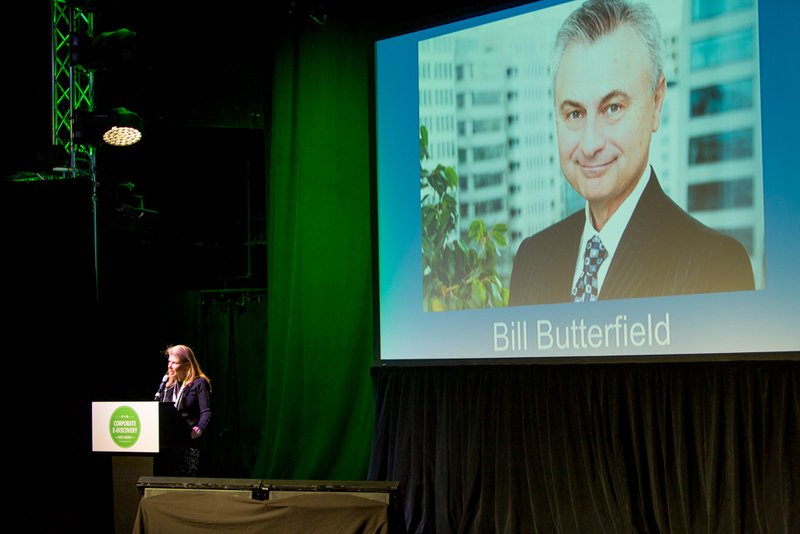 Ariana Tadler shared a heartfelt tribute to friend, colleague, and pivotal figure in our industry, the late Bill Butterfield. 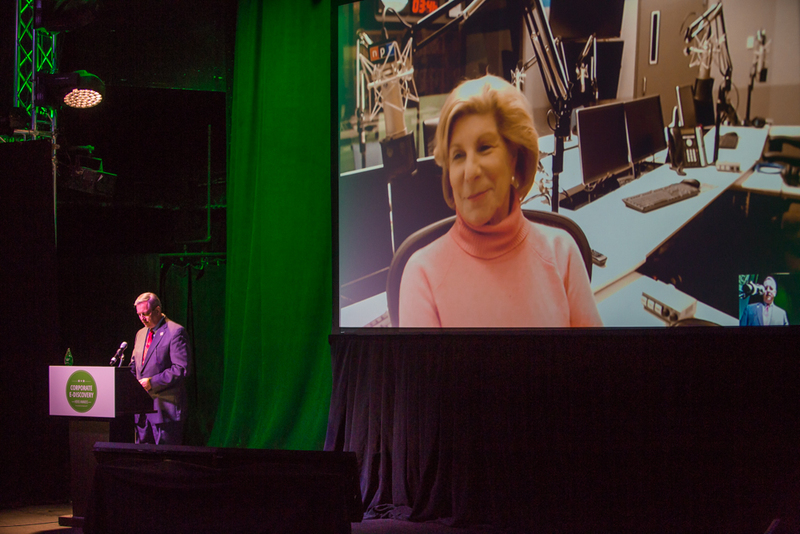 And Craig Ball discussed politics, the Supreme Court and topics related to the Trump administration with featured keynote speaker, National Public Radio’s legal affairs correspondent Nina Totenberg. Craig Ball leads discussion via Skype with NPR’s legal affairs correspondent Nina Totenberg on the eve of the 2017 SCOTUS nomination. 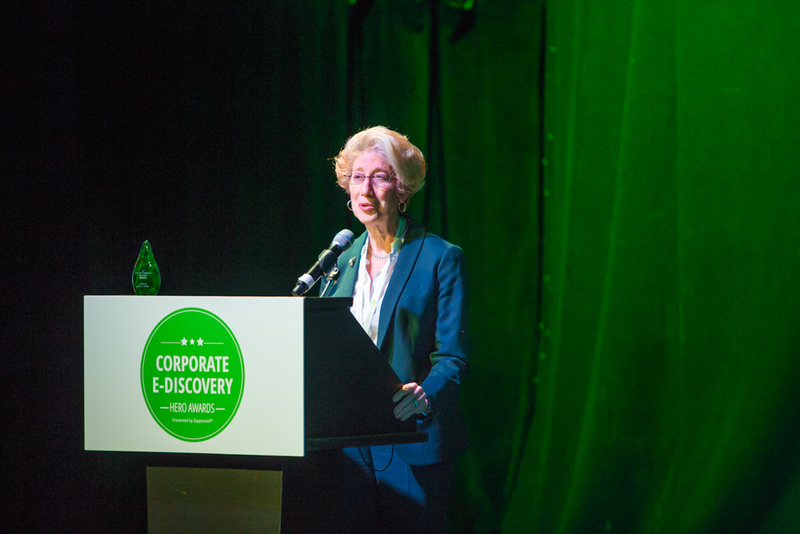 The evening was a true showcase of the impressive minds in ediscovery. 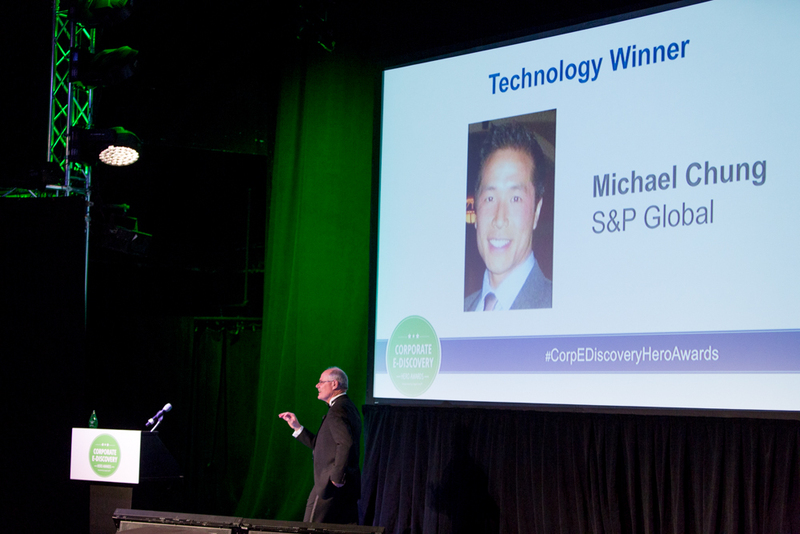 The heroes we honored serve as inspiration for all corporate legal teams to successfully bring ediscovery in-house. Read about our hero finalists and winners here. So what’s next? Speak at PREX! 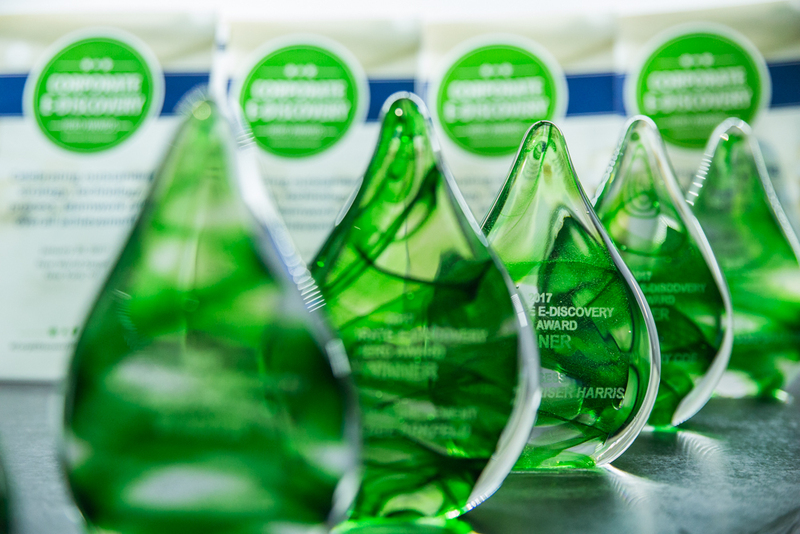 The success stories shared by the Corporate Ediscovery Hero Awards finalists also serve to provide great insights and practical real-world experiences at making ediscovery better. 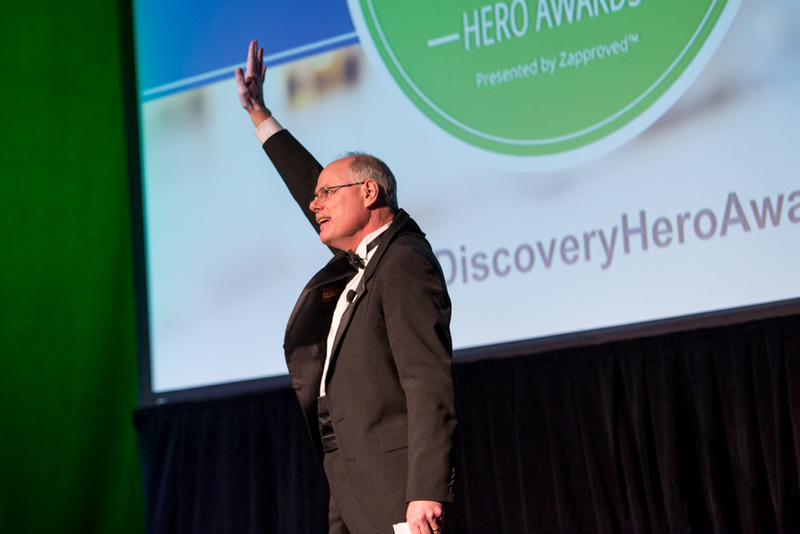 We’d like to invite corporate ediscovery professionals to share their hero stories at the 2017 PREX, the nation’s premier conference for in-house ediscovery professionals! Submit yourself or a colleague to speak at PREX17 held in Portland, OR next September. Propose your story, idea, or practical ediscovery educational topic for consideration and a member of the PREX17 planning committee will be in touch. During the month of February, use the discount code HERO for an extra $100 off PREX17 registration — $300 total savings.